Vanilla Custard Mr Salt-E E-Juice 30mL is a simple yet addicting vape that delivers the same smooth flavoring all day long without losing the slightest bit of taste. This liquid closely replicates the creamy deliciousness of a vanilla custard blend, offering a light yet mouthwatering flavor that goes great at any time of the day. Mr Salt-E E-Liquids are manufactured from start to finish in a US-based clean lab located in Kentucky. Here they craft their premium salt-based liquids using only the finest and freshest quality of ingredients, creating a great tasting vape that is sure to impress. Pick up Mr Salt-E's Vanilla Custard juice in 30mL GCC compliant bottles with your choice of nicotine strength including either 25mg or 45mg. 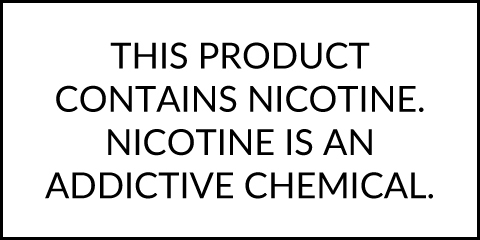 Please note Mr Salt-E E-Liquids are manufactured with high amounts of a salt-based nicotine, therefore they should not be used in high output sub ohm tanks or dripper atomizers. These liquids are intended for use with low output Pod based devices like Wismec Myjet or Eleaf iCare.